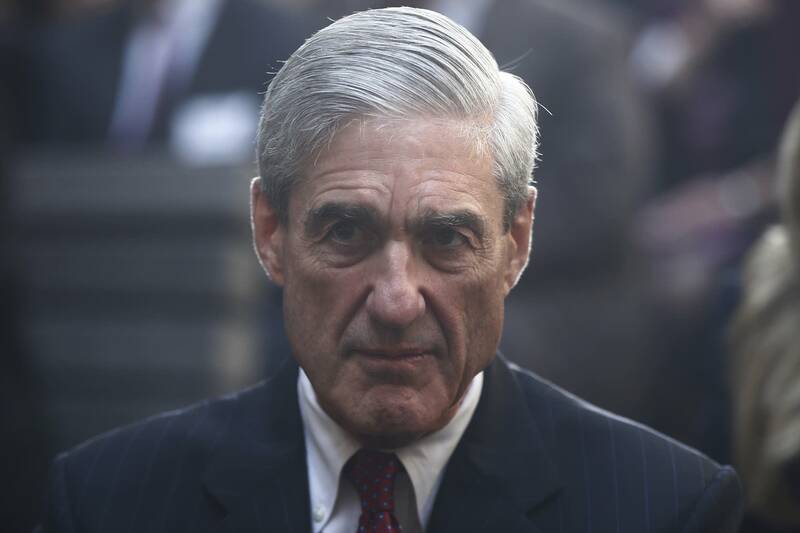 Besieged from all sides, the Trump administration appointed former FBI Director Robert Mueller Tuesday evening as a special counsel to oversee the federal investigation into allegations Russia and Donald Trump's campaign collaborated to influence the 2016 presidential election. The appointment came as Democrats insisted ever more loudly that someone outside Trump's Justice Department must handle the politically charged investigation. An increasing number of Republicans, too, have joined in calling for Congress to dig deeper, especially after Trump fired FBI Director James Comey who had been leading the bureau's probe. Earlier Wednesday, Trump complained in a commencement address that "no politician in history" has been treated worse by his foes, even as exasperated fellow Republicans slowly joined the clamor for an significant investigation into whether he tried to quash the FBI's probe. Three congressional committees, all led by Republicans, confirmed they wanted to hear from Comey, whose notes about a February meeting with the president indicate Trump urged him to drop the bureau's investigation of fired National Security Adviser Michael Flynn. Congressional investigators are seeking Comey's memos, as well as documents from the Justice Department related to the firing. Many Democrats also were calling for an independent special counsel, or prosecutor. The latest political storm, coupled with the still-potent fallout from Trump's recent disclosure of classified information to Russian diplomats, overshadowed all else in the capital and beyond. Stocks fell sharply on Wall Street as investors worried that the latest turmoil in Washington could hinder Trump's pro-business agenda. Republicans, frustrated by the president's relentless parade of problems, largely sought to cool the heated climate with assurances they would get to the bottom of scandals. "There's clearly a lot of politics being played," House Speaker Paul Ryan said. "Our job is to get the facts and to be sober about doing that." Unimpressed, Rep. Elijah Cummings, top Democrat on a key House oversight panel, said, "Speaker Ryan has shown he has zero, zero, zero appetite for any investigation of Donald Trump. He accused the Republicans of taking great pains to "do as little as humanly possible, just to claim that they're doing something." Interest was hardly limited to the U.S. No less a commentator than Russia's Vladimir Putin called the dramatic charges swirling around Trump evidence of "political schizophrenia spreading in the U.S." He offered to furnish a "record" of the Trump-diplomats meeting in the Oval Office if the White House desired it. There was no word on what that record might entail, a question many were likely to raise in light of Trump's recent warning to Comey that he had "better hope" there were no tapes of a discussion they'd had. The White House disputed Comey's account of the February conversation concerning Flynn, but did not offer specifics. Several members of Congress said that if Trump did suggest that Comey "let this go" regarding Flynn's Russian contacts, it was probably just a joke, light banter. White House aides mostly kept a rare low profile, avoiding going on television. Trump did not offer any commentary on Twitter and did not directly address the controversies during a commencement address at the Coast Guard Academy, though he delivered a broadside against the forces he sees as working against him. "No politician in history, and I say this with great surety, has been treated worse or more unfairly," he said. "You can't let the critics and the naysayers get in the way of your dreams. ... I guess that's why we won. Adversity makes you stronger. Don't give in, don't back down. ... And the more righteous your fight, the more opposition that you will face." Both allegations came from anonymous sources, and the White House was quick to denounce the leaks and deny any impropriety, insisting the president never tried to squelch the Flynn investigation nor did he make inappropriate disclosures to the Russians. Putin, watching from afar, said the "evolving political struggle" had gone from something of an amusement to serious cause for concern, and he suggested Trump's critics were stoking anti-Russian sentiment to damage the president. "These people either don't understand that they are hurting their own country, and in that case they are just dumb," Putin said. "Or they do understand everything, and that means that they are dangerous and unscrupulous." On Capitol Hill, Comey was clearly the man in demand, with three committees working to seat him at their witness tables. — The House oversight committee set a May 24 hearing on whether Trump interfered in the FBI probe, and invited Comey to testify. — The Senate intelligence committee invited Comey to appear in both open and closed sessions. It also asked acting FBI Director Andrew McCabe to give the committee any notes Comey might have made regarding discussions he had with White House or Justice Department officials about Russia's efforts to influence the election. — Top members of the Senate Judiciary Committee asked the FBI to provide any Comey memos and asked the White House to turn over any audio recordings that might exist of conversations with the now-fired director. They expect to bring in Comey in to testify, as well. Trump is preparing to leave town Friday on his first foreign trip, and aides have been hopeful the journey will be a chance for the administration to get back on track after weeks of chaos and distractions. Sen. Lindsey Graham, R-S.C., speculated Trump was probably happy to get out of town — "and a lot of us are glad he's leaving for a few days." His advice to the president: "Stay disciplined, stay focused and deliver on the world stage."